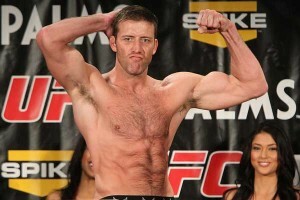 Stephan Bonnar is a retired American MMA Light Heavyweight competitor for Ultimate Fighting Championship (UFC), owning a fortune of $500 thousand. He gained prominence by winning as a runner-up on Spike TV’s reality series- ‘The Ultimate Fighter’. He is a black belter in both Brazilian Jiu-Jitsu and Taekwondo. He has served as a commentator for several MMA programs. He also appeared as an analyst on an MMA2 series, called ‘MMA Live’, and many other UFC programs telecasted on Fox Television Networks. During his martial arts career, Stephan only fought for the Ultimate Fighting Championship and was honoured with ‘Fight of the Night’ award on July 3, 2010. He has been also inducted into the UFC Hall of Fame. While fighting against Forrest Griffin, Stephan was awarded with ‘Fight of the Year’ by Wrestling Observer Newsletter, in the year 2005. Stephan began wrestling as a mixed martial artist at a very early age of 10. At the age of 12, he started learning Taekwondo, and took his Brazilian Jiu-Jitsu training when he was 20. As he reached 24, Stephan went ahead by learning Muay Thai fighting. From 2005 to 2012, Stephan fought for the Ultimate Fighting Championship, and his retirement was announced on October 30, 2012 by the UFC President, Dana White.